Technology confronts us with new ethical questions. In the context of smart cities, the debate is shaped by various stakeholders that come together in a confined space. Residents, administrations, building owners and homeowners should exchange and communicate more frequently in order to determine a sustainable dialogue and application of new technologies in smart cities together. The team bets that by Q3 2018 it will have set up a think-tank to promote the exchange between society and business on ethical aspects of a smart city and offer solutions to concrete problems. Technological progress and its networking enable a form of data exchange that affects society, business, politics and science as a whole in a still unknown form, and thus creates uncertainty and fear. There is no point of contact through which to discuss and orientate oneself on the acceptance of new technologies and solutions. It is important that all actors in digital transformation work together and engage in a continuous dialogue with society. 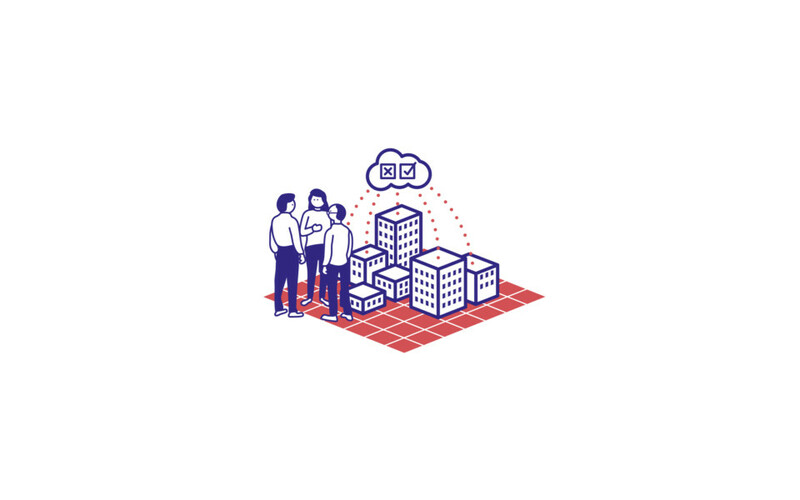 The contact point ensures that data is handled in a way that is accepted by Swiss society, administrations, science and business in the creation of smart cities and the implementation of projects. It supports the economy and administrations in the implementation of critical projects and ensures that all stakeholders can participate by reducing complexity and creating trust. There are also insights on other bets.